Mercy Health staff and residents represent many different countries. FROM India to Indonesia and everywhere in between, the dozens of different cultures that make up Mercy Health will be celebrated when the not-for-profit aged care organisation celebrates its cultural heritage on Harmony Day. Harmony Day, held each year on March 21, celebrates Australia’s cultural diversity and promotes values of inclusiveness, respect and a sense of belonging for everyone. 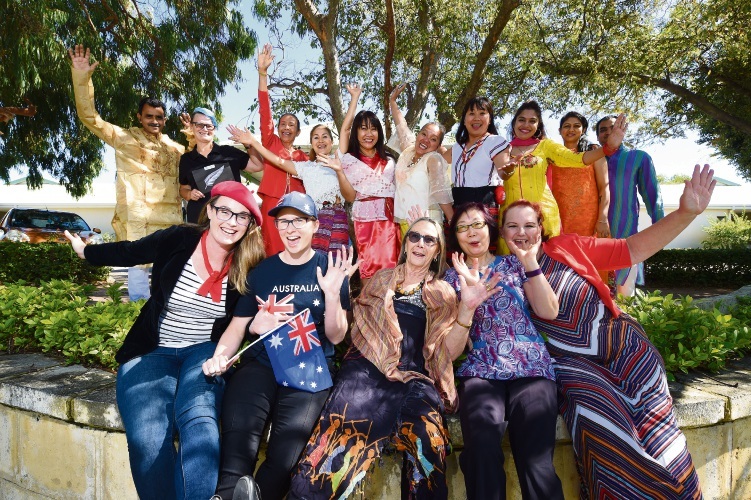 The day’s inclusive multicultural message rings loud at Mercy Place Mandurah, where staff and residents represent more than a dozen different countries. The celebrations will begin with a special morning tea organised by staff, who will be talking to residents about the traditions found in their home countries while wearing traditional costumes from their homeland. Mercy Place Mandurah Service Manager, Christina Venables, said Harmony Day gave residents and staff an opportunity to celebrate their diversity and heritage. “Our residents and staff really embrace Harmony Day because we feel it’s so important to create opportunities to experience other cultures in a fun and inclusive way,” she said.